Everyone has a favorite text editor that they like to use when viewing or working with source code. 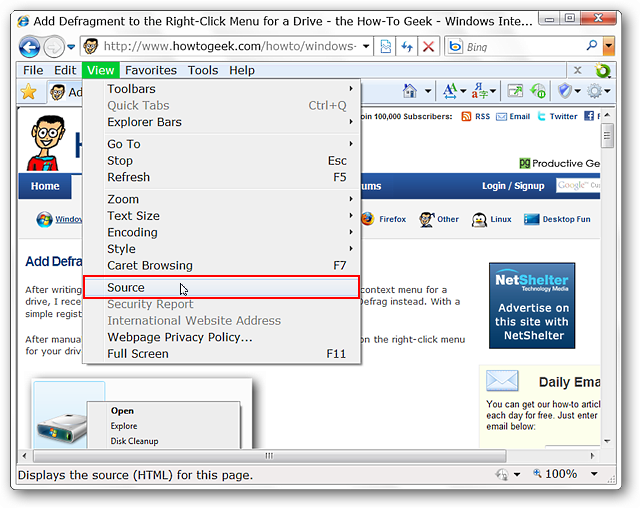 If you are unhappy with the default choice in Internet Explorer 8 then join us as we show you how to set up access to your favorite text editor. 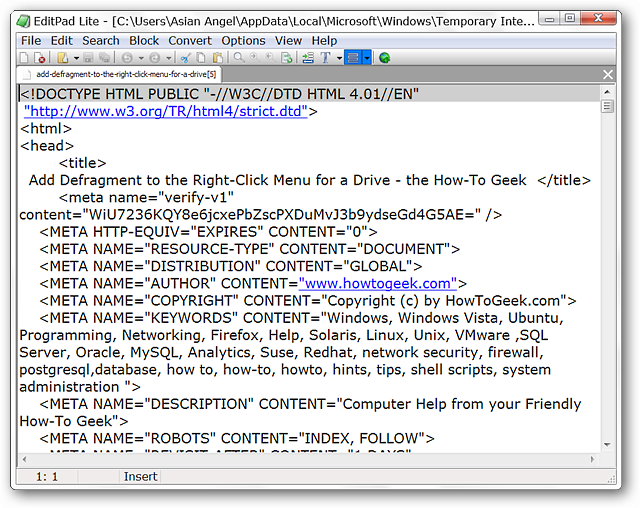 Here is Internet Explorer on our test system ready to help us view the source code for one of the pages here at the site. Or in the case of our test system where “EditPad Lite” was the default due to choices we made while installing it. 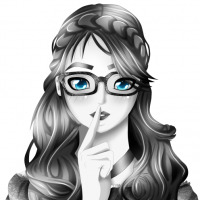 Chances are you have your own personal favorite and want to make it the default source code viewer. 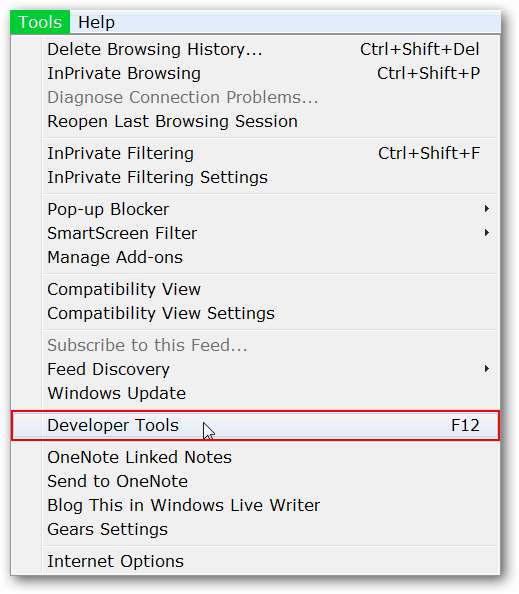 To get started go to the “Tools Menu” and click on “Developer Tools” or press “F12” to access the “Developer Tools Window”. 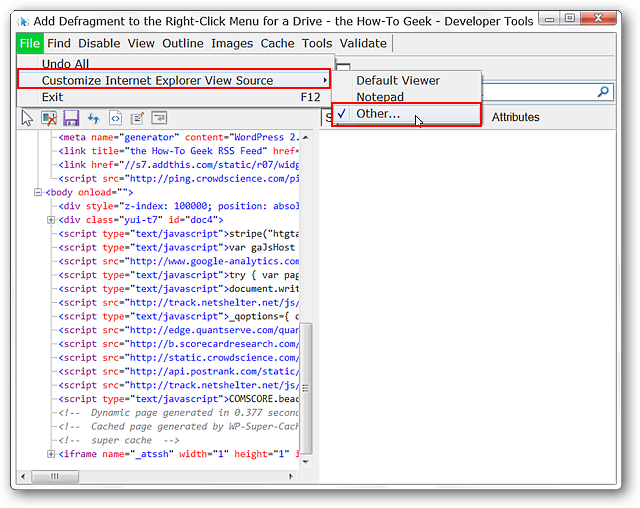 Once you have the “Developer Tools Window” open go to the “File Menu”, then “Customize Internet Explorer View Source”, and click on “Other”. Once you have clicked on “Other” you will see the “Program Directory” for the current default app. 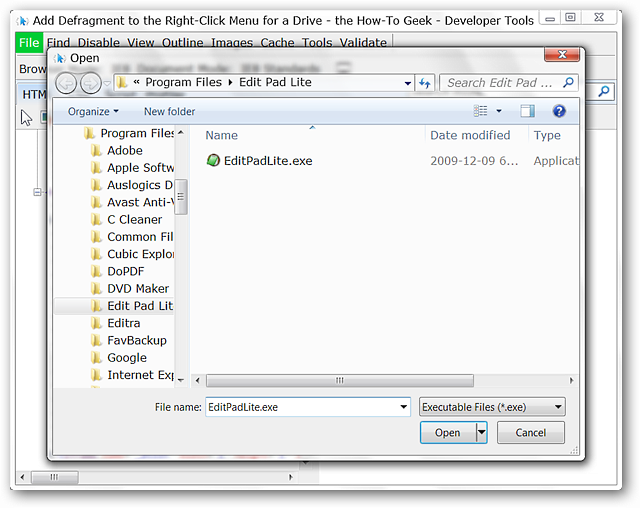 Here you can see the “Program Files Folder” for “EditPad Lite”. To change the default app simply browse for the appropriate program folder. On our test system we decided to change the default to “Editra”. 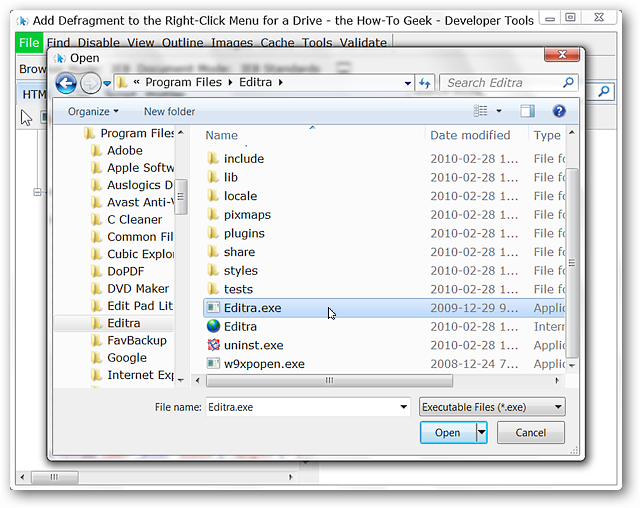 Once you have located the program that you want to use click on the “.exe” file for that app and click “Open”. Once you have clicked “Open”, all that is left for you to do is close the “Developer Tools Window”…everything else is already taken care of. And just like that you can be viewing source code with your favorite text editor. 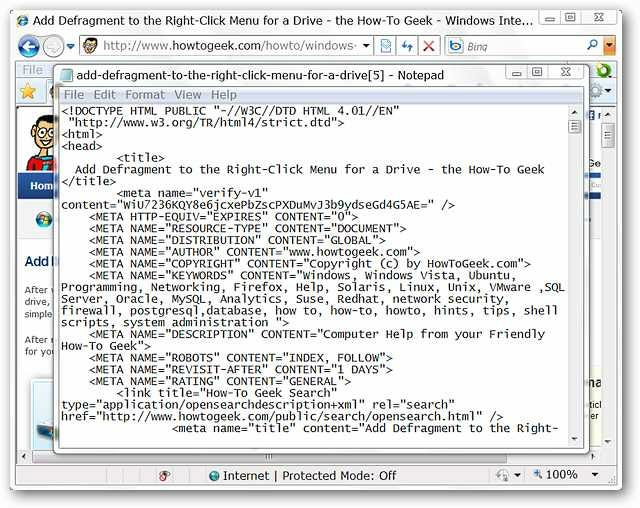 If you have been unhappy with the default source code viewer in Internet Explorer 8 then you can set up access to your favorite text editor in just a couple of minutes. Nice, quick, and easy the way it ought to be. Thanks to HTG & TinyHacker reader Dwight for the tip!